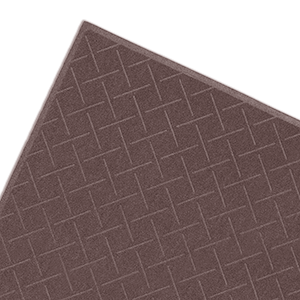 Value-priced, rubber-backed entrance mat gives excellent floor protection. Priced at a true value, this recycled indoor entrance mat is made from fade-proof, UV-resistant fabric and slip-resistant rubber. Value-priced, rubber-backed entrance mat gives excellent floor protection. Priced at a true value, this recycled indoor entrance mat is made from fade-proof, UV-resistant fabric and slip-resistant rubber. See more items in the Enviro Plus collection.